It is our pleasure to welcome each of you to explore the exciting possibilities available as a college student at Harris-Stowe State University. 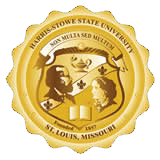 Harris-Stowe State University is one of the oldest colleges in Missouri with a long tradition of teacher education. It is also the only historically black university serving the unique needs of the metropolitan St. Louis community. Located in the vibrant city of St. Louis, Missouri, the university has educated leaders in higher education for 160 years. During most of this period, the emphasis focused on teacher education. However, Senate Bill 153, enacted in 1993, enhanced the mission of Harris-Stowe to include a wider selection of degree program opportunities. By obtaining the quality of education we provide, you can prepare to successfully compete in the dynamic and vigorous global marketplace. Whether you are a recent high school graduate, transferring student or a returning adult learner, you will find that Harris-Stowe is the most affordable and accessible four-year university in the metropolitan St. Louis area. On behalf of the entire faculty and staff, we invite you to consider Harris-Stowe State University. Experience the satisfaction that comes with earning a baccalaureate degree in any of over 30 degree programs. Envision your future filled with financial, professional and personal success. It can begin with your college degree; it can begin at Harris-Stowe State University!